The All Progressives Congress has suspended the governorship primaries in Imo State indefinitely. The announcement was made by the party acting spokesperson, Yekini Nabena in a statement in Abuja. The battle for APC ticket in Imo has become controversial. The spokesperson also said yesterday the senatorial primaries in all the 36 states of the country have been postponed until October 3. 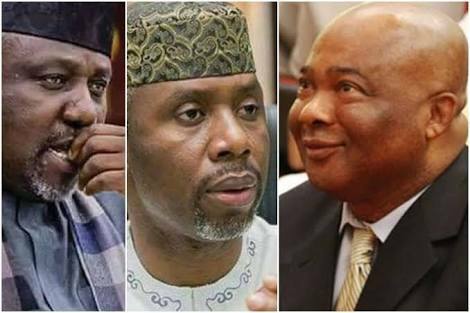 The Imo primary pits Uche Nwosu, an in-law of incumbent Governor Rochas Okorocha, against Hope Uzodinma, a serving senator; current deputy governor, Eze Madumere; and others. The exercise held on Tuesday after several postponements amidst fierce face-off between the senator and the governor. But the controversies that trailed it appeared to have compelled the party’s national body to cancel whatever transpired and suspend the exercise.